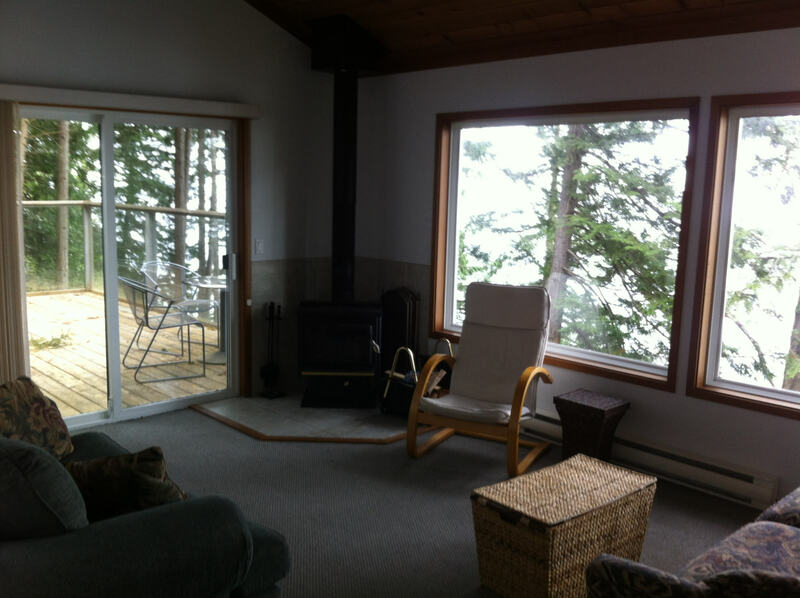 "The cottage and its setting are gorgeous; your beautiful architecture, tasteful furnishings, and artful landscaping are a great credit to you. You afforded us a wonderful environment in which to achieve rest and renewal." 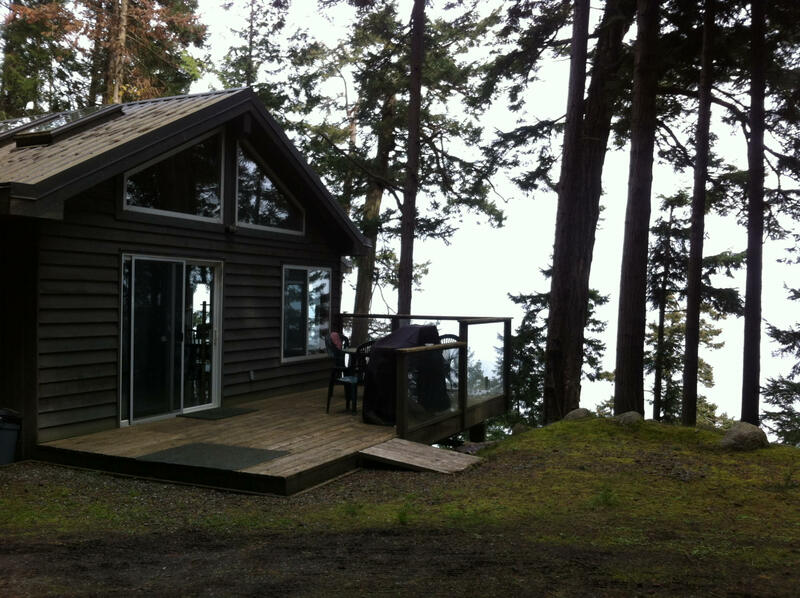 -Stephanie and Barrie, Lions Bay, B.C. 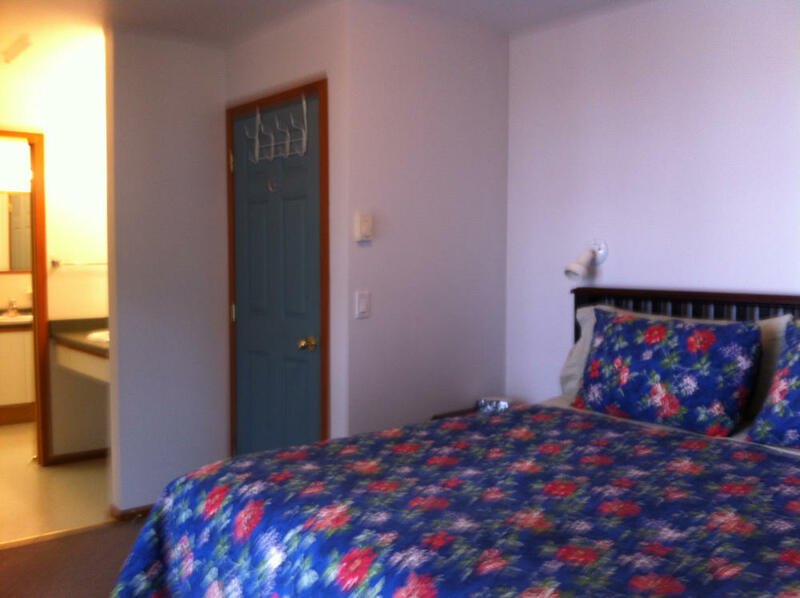 Each cottage features a king size bed in the master suite, and a queen size hide-a-bed in the living area. 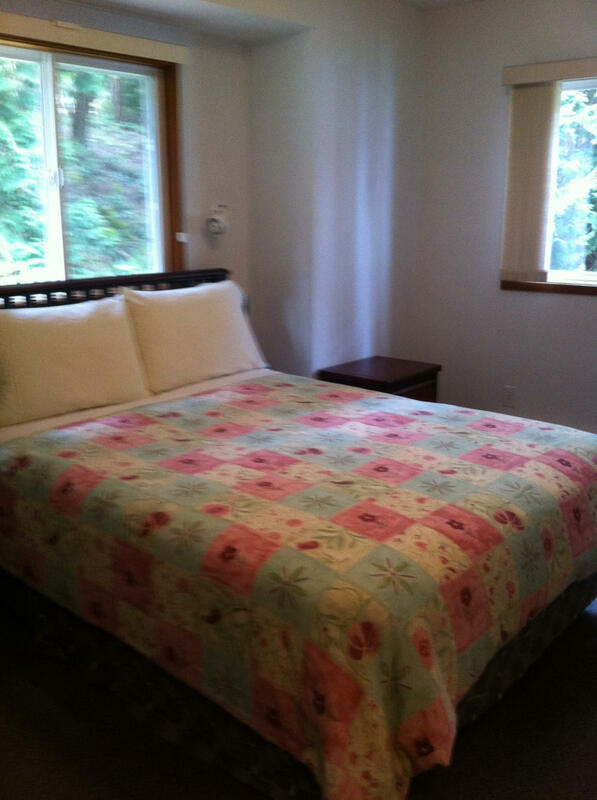 Balsam cottage has 2 twin beds and Arbutus cottage has a queen sized bed in the second bedroom. 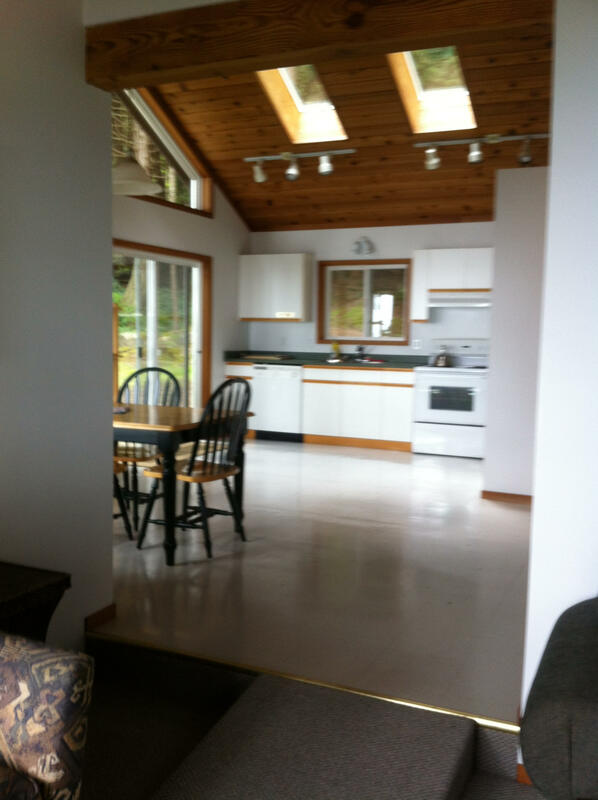 Each kitchen has all appliances including a dishwasherand microwave. 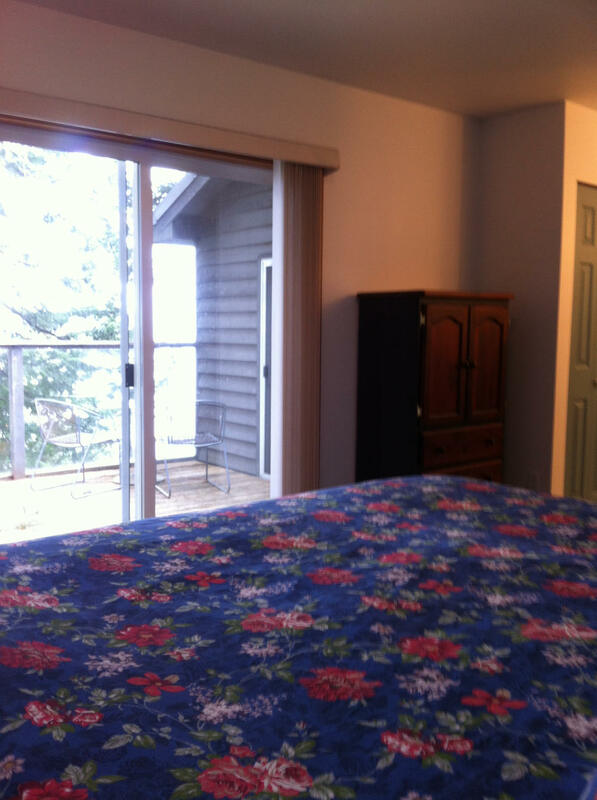 The bedrooms offer secluded forest and ocean views but they are also equipped with blinds for your privacy. The TVs have a built in DVD player but do not receive any channels. For small children, we are equipped with playpens, cradles and highchairs. An airtight fireplace in the living room promises cozy evenings in front of a blazing fire. 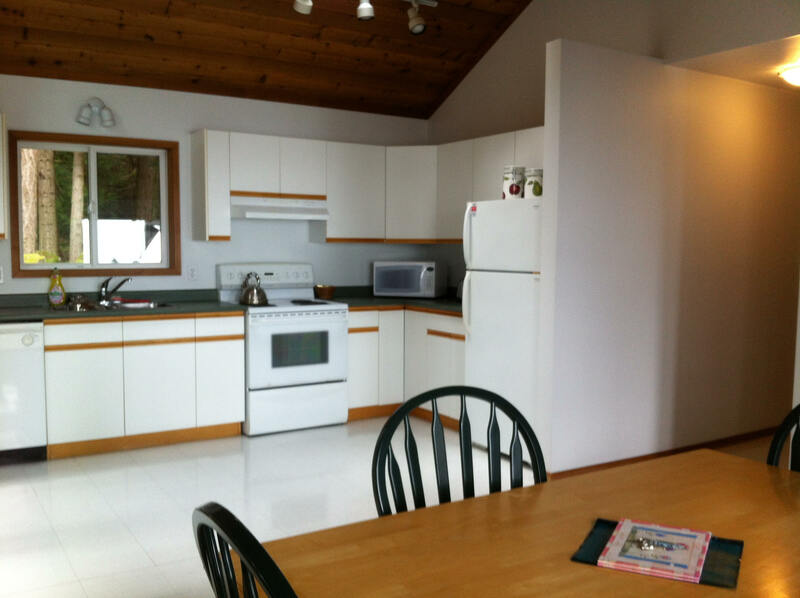 Your own washer/dryer combo is situated in a small utility room and you will find a barbeque on the deck ready for you to grill your catch of the day. 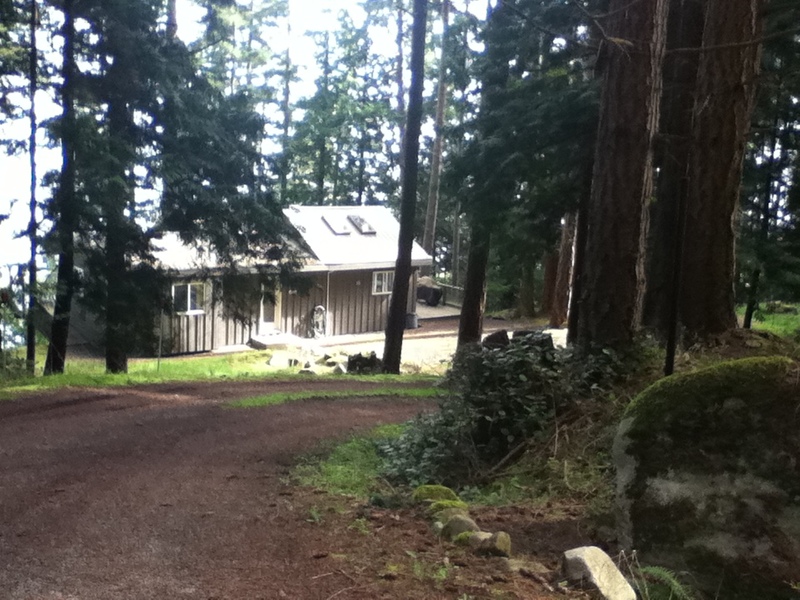 The cottages have wifi (available May thru September only). A courtesy phone in each unit accepts your client card to offer you as much or as little contact with the outside world as you desire. Each unit has two decks. The larger deck has a gas barbecue, a patio table and six chairs for seating the whole family. The other has a bistro table, two chairs and a lounge chair for more intimate dining. These units are non-smoking and wheelchair accessible. additional person (maximum 6 people) 2 Night Minimum. Saturday June 29th thru to Saturday August 31. A reservation will be confirmed upon receipt of 40% of the applicable rate and the entire balance is due upon arrival. Should you need to cancel, we will attempt to rebook the cottage. If we are successful your deposit will be cheerfully refunded. We love pets and are sure yours are well behaved, but regretfully we cannot accept pets. The cottages are situated on a bank, above the water, facing the Strait of Georgia . A meandering walk through a woodland trail along the water, takes you to the beach which is sand and pebble. One can drive to the beach if necessary. The waterfront area adjacent to the sand/pebble beach is sandstone, affording some beautiful shapes and discovery areas for young and old alike. The beach faces west and affords sun until it sets in the evening, hence our name, Sunset Beach. 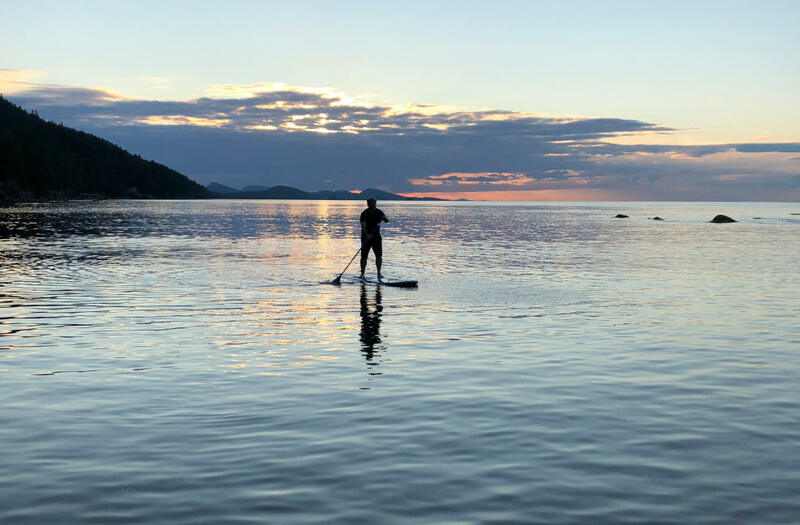 On the beach you can swim, explore inter tidal life, sunbathe, beach comb, launch your kayak or other small boat, or just sit and enjoy the serenity and listen to the water lap the shore. One of the most southerly Gulf Islands is located in the Strait of Georgia between Vancouver and Victoria. 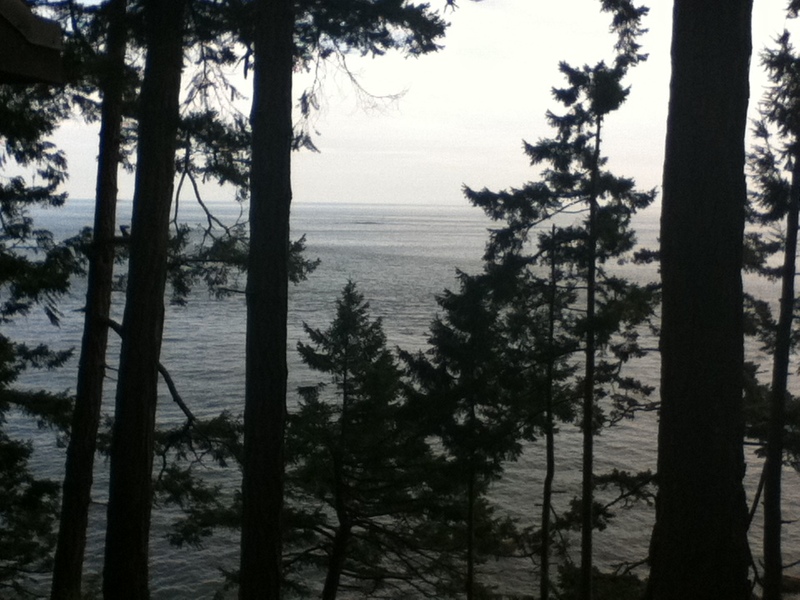 The most rural of the islands, Saturna has close to 300 permanent residents. Many people choose to call Saturna home because of its mild climate, natural surroundings and its quiet friendly atmosphere. A home to many artists and artisans, Saturna has plenty to offer to both residents and visitors. 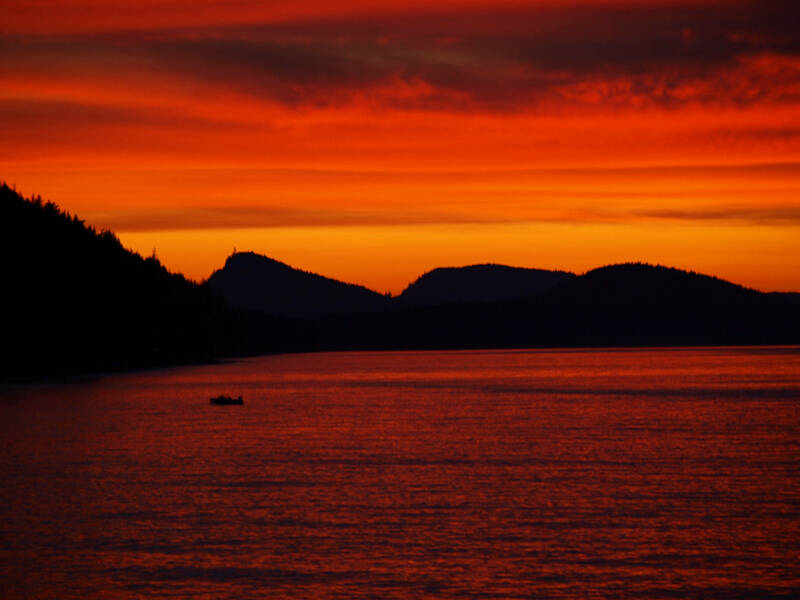 In 2003 the Federal Government established the Gulf Islands National Park Reserve http://www.pc.gc.ca/gulfislands with almost 50 percent of Saturna is included in this reserve. Our resort lies within the heart of this unique park. "Fantastic island, great cabin, and super beach! I love the post and beam design. Hope to be back someday." P.O. Box 188, Saturna, B.C.